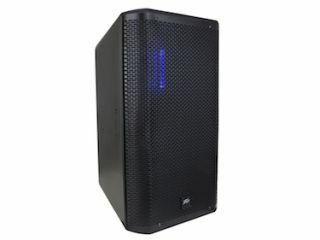 The What: Peavey will exhibit its RBN 112 speakers at InfoComm 2016 in Las Vegas, NV. To match the high-frequency performance of Peavey's ribbon driver, RBN 112 enclosures are equipped with dual voice coil neodymium Scorpion speakers, which feature Peavey's exclusive field replaceable basket technology. The speaker system features internal presets built into the 96K DSP, allowing users to quickly select the speaker's application or orientation via the LCD on the rear of the enclosure. The What Else: Constructed of heavily braced 18-millimeter birch plywood, the RBN sub is intended for installations or portable applications where audio quality, reliability, and efficiency are of the utmost importance. The RBN subwoofers feature two XLR/1/4-inch combination inputs, a 3.5-millimeter input, and a mic/line level selection. Each input features digital infrasonic high-pass filters, a nine-band graphic EQ, and delay. Each output features a compressor/limiter and fourth order highpass/low-pass filters for crossover output. The Bottom Line: Driven by an efficient power amp, RBN 112 speaker enclosures combine high-end audio quality with reliable components. Internal temperature monitors combined with a variable speed cooling fan, plus level and clip indication, ensure reliable performance during demanding conditions. Internal presets built into the DSP allow users to quickly select the speaker's application via the LCD on the rear of the enclosure.